The Mulberry contractor was apparently working for Southeastern Construction and Maintenance Company at the time of the accident. No further details regarding the accident have been released at this time. More than one million people in the U.S. visit the emergency room annually following a slip-and-fall accident, according to the National Floor Safety Institute. People can slip and fall virtually anywhere – at work, at home, at stores, on sidewalks and parking lots and in many other public and private locations. In most cases, slip and fall or trip and fall accidents can be avoided when proper safety measures are taken or when the property is appropriately maintained, meaning it is free from any dangers. When a property does have existing hazards that are not remedied, the negligent property owner can be held accountable for the losses they cause. Slip, trip and fall accidents are not at all uncommon. 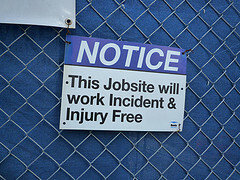 In fact, falls are the leading cause of missed days from work and the primary cause of workers’ compensation claims. Construction sites present many slip, trip and fall risks because of dangerous materials and heavy machinery. When a slip and fall or trip and fall accident occurs, the costs of medical bills, lost wages, pain and suffering and other damages can be extremely high. When a slip and fall or trip and fall accident results in death, the costs to the surviving family members can be even higher as the family can be left without the financial support, companionship and love that their loved one was providing. If someone you love has been injured or killed in a work-related slip and fall or trip and fall accident, please call a Tampa Bay Injury Lawyer at Whittel & Melton today at 813-221-3200 or use our online contact form. We offer free case evaluations and work on a contingency fee basis, meaning if we do not recover financial compensation for you, you will not be charged any legal fees.